Christina Richã Devi is an ordinary person living an extraordinary life. At the vanguard of the wholistic movement for the last four decades, Christina Richã Devi has developed her counseling skills around the world and integrated ancient wisdoms in a form that incorporates all Truths. Christina Richã Devi received Waldorf training and other alternative schooling in Switzerland. She lived with Gypsies in Mallorca at 17. Before coming to the Americas she completed University studies in nutrition and healthcare education. She holds a degree as a PsychoNeuroImmunologist, is a certified Yoga Teacher, Nutritionist and Clinical Herbalist. Throughout the Americas she has studied ecology, community, mystery schools, apprenticed herself to a Mohawk medicine woman and a Cherokee Shaman whom she served for seven years each. She holds diplomas in Drugless Therapy and Naturopathy from Europe and the U.S.A. as well as degrees in Somatic Medicine. In Asia she embraced Yoga and the Yin/Yang principles which later resulted in her studies in macrobiotic and Ayurvedic lifestyle approaches. 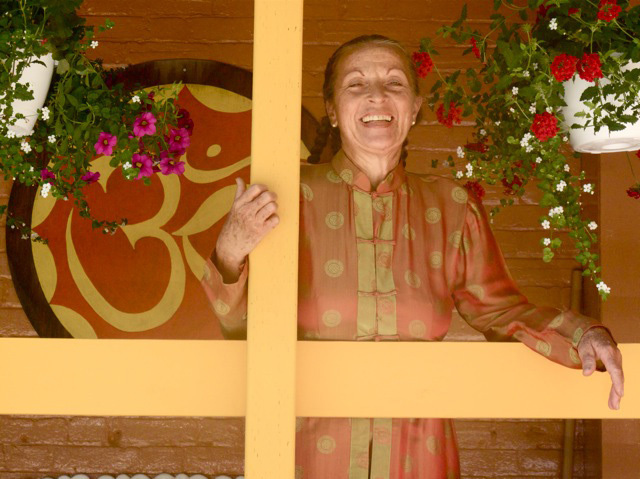 Her studies in Yoga, consistent over 40 years, led her back to India repeatedly; blessed her with the presence of many saints; and inspired her to guide vision quests throughout the Himalayas. To such remote regions as Bhutan, Sikkim, Zanskar and Ladakh. Deeply influenced by Tibetan Buddhism she embraced the concept of the "Bodhisatva Vows". Whereby one dedicates ones life to the liberation of all sentient beings. Christina Richã Devi has been a passionate student of mantra, yantra and tantra and been personally tutored for over a decade by the late Shri Harish Johari; and now specializes in teaching the " yogas of the planets " as instructed by her teacher. She brings a unique combination of inner work, academic discipline and practical training in healing arts to all she works with. Her involvement with consciousness raising is evident in her commitment to voluntary simplicity, in her strength and in her living philosophy that protects and enhances the sacredness of life. To ease her intensive work and questing schedule from Sweden to Anatolia, from Nepal to Alaska, from Korea to Brazil, she practices devotional chanting, paints Sacred Yantras and creates Ikebana. 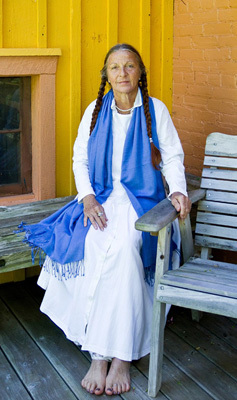 Christina Richã Devi has established a healing sanctuary in a country setting, for others during periods of life transition. In mindful service, grace and gratitude she contributes through teaching, writings and media to health awareness and self-help education. She leads regular healing retreats around the world. This keeps her heart joyous and filled with the divine, while working on the essential preciousness.